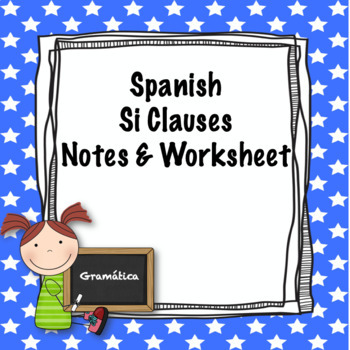 If clauses can be very confusing for students learning Spanish. 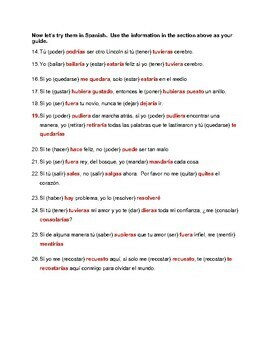 This worksheet divides them into the three different types and provides examples in Spanish and English. The practice sheet asks students to label if clauses, main clauses, and determine the type number as well as fill in the blanks with the correct conjugations of the verbs. 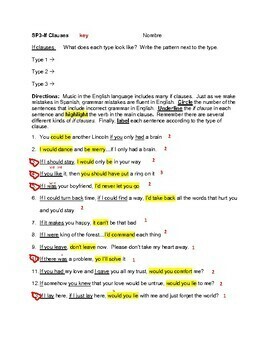 I've used song lyrics for the practice exercises.